For the first time, play guitar with 28 of the Beatles' hits, from Sgt. Peppers Lonely Hearts Club Band to Let it Be. This deluxe edition features 4 all-new 'soundalike' CDs recorded by a live band, with full instrumental demos and backing tracks for each song. The songs are arranged in the same keys as the original recordings and are presented in tablature and standard notation with chord symbols, chord boxes and complete lyrics. 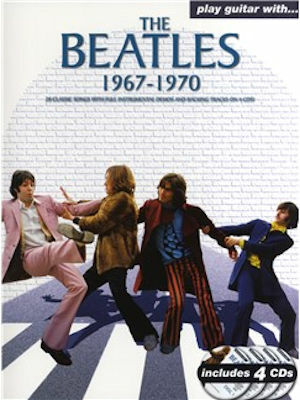 The book includes an exclusive preface, comprehensive recording notes, tablature guide and photos, making this the perfect way to learn how to play The Beatles' classic songs. 28 titres.